Handmade chocolates in a wide range of flavors available in customized chocolate boxes. 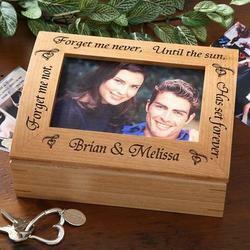 The boxes can be engraved or with your photos, messages, logos etc. Photo printed boxes also available. Handmade chocolates available in flavors like strawberry, almonds, dark chocolates. Sugarfree and chocolates also available. Handmade Chocolate Box with 15 Assorted Chocolate with Branding and logo of the company. 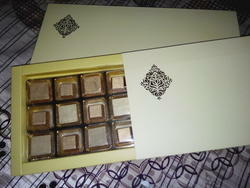 Dimension: 6.50" x 6.50" x 1.25"
Premium qualitu chocolate with 12 pieces in box, customization available. We offer chocolate gift boxes of all shapes, colors, and styles. The chefs and chocolatiers behind our global chocolate network take great pride in their artistic.